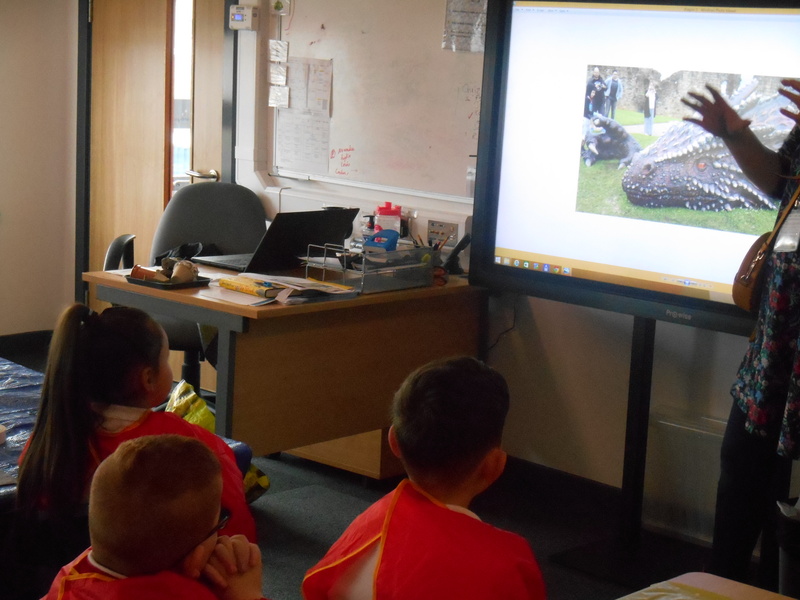 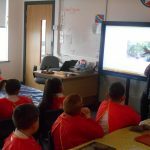 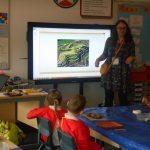 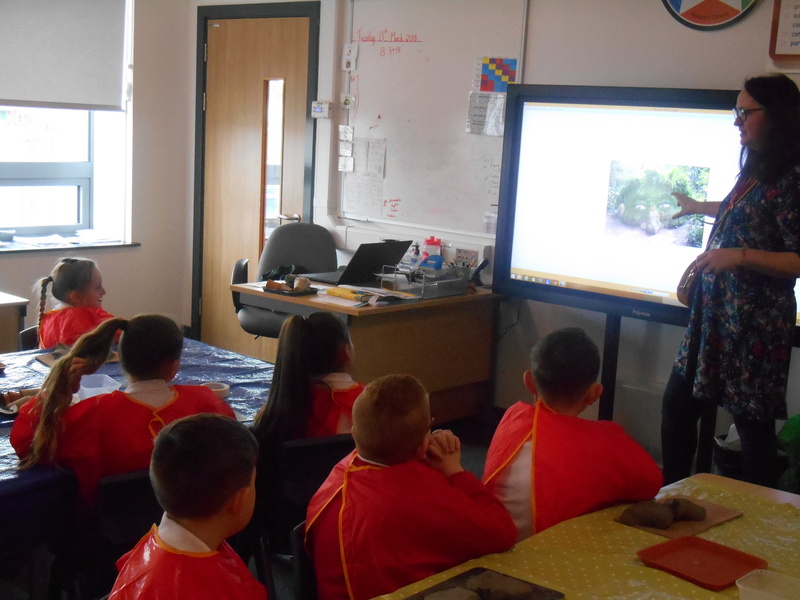 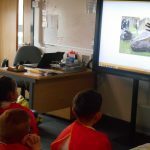 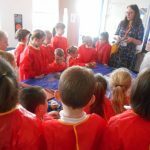 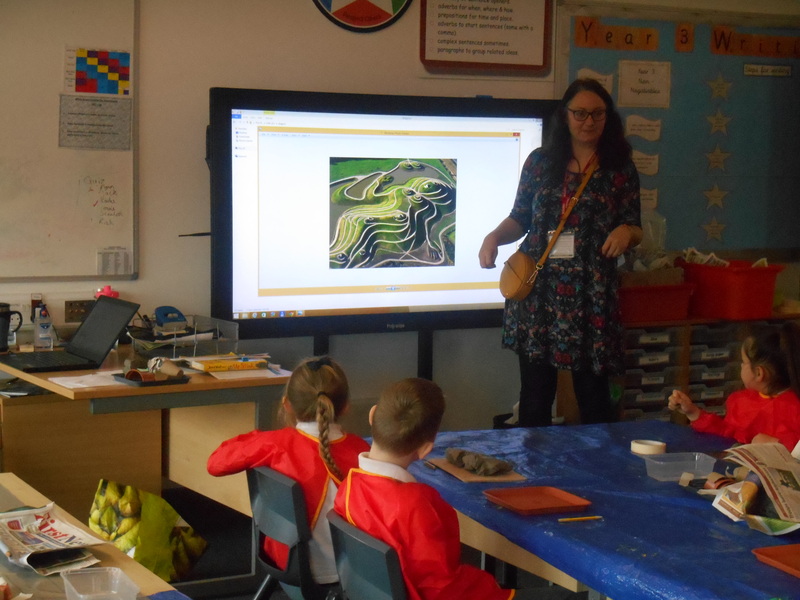 Year 3 are working with a local artist, Nicola Lynch, to create a ‘Sleeping Dragon’ for our outdoor art gallery. 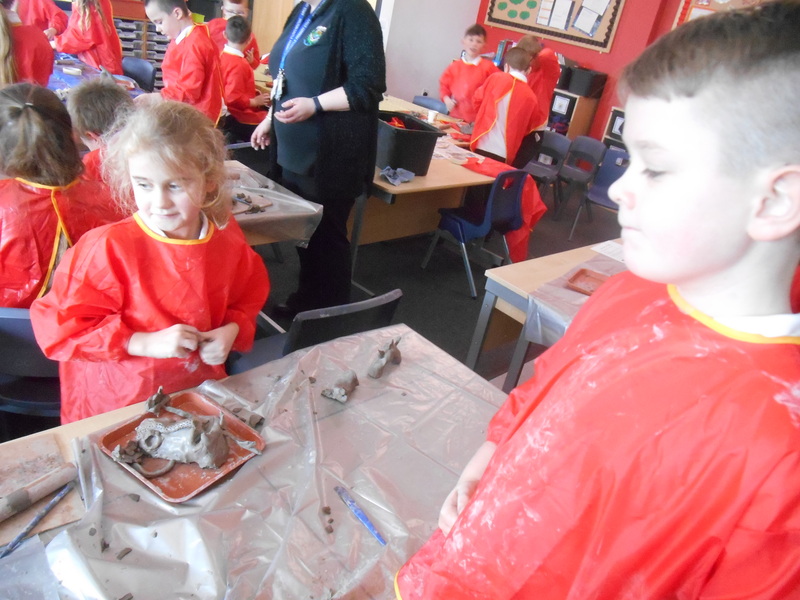 First we looked at some existing art work. 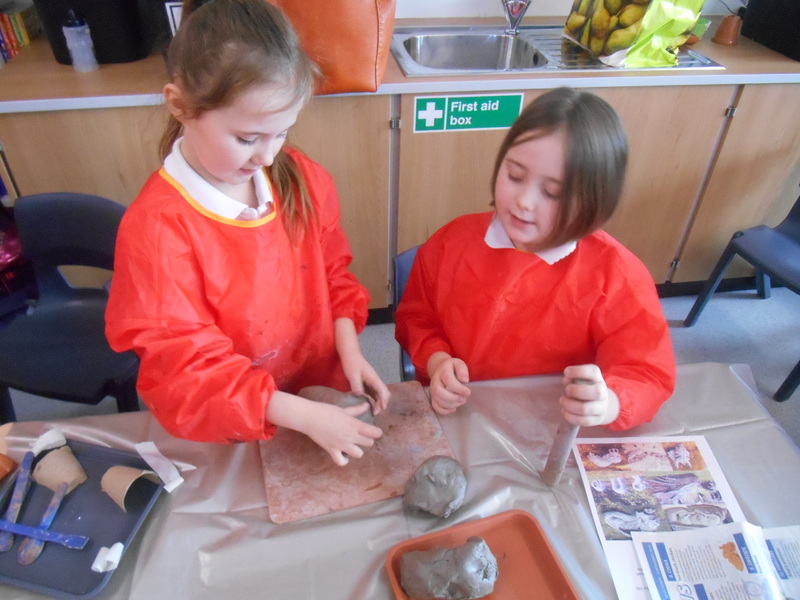 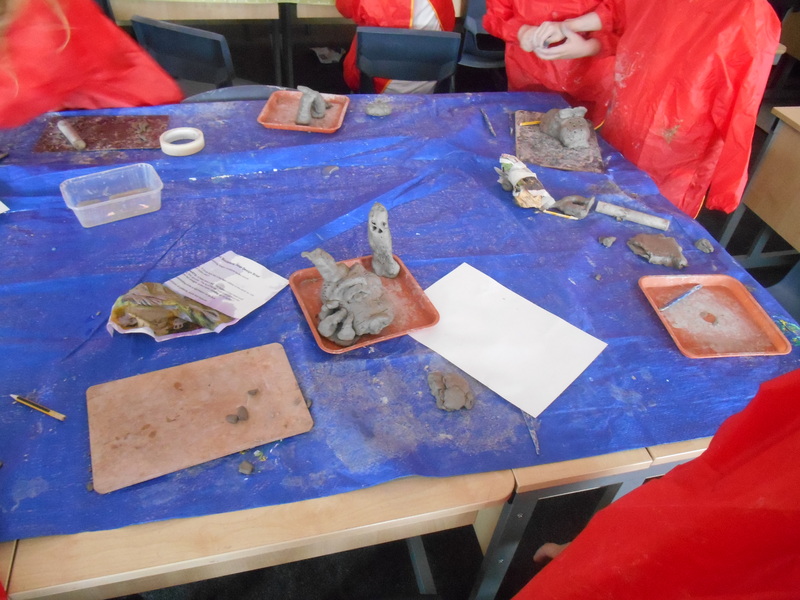 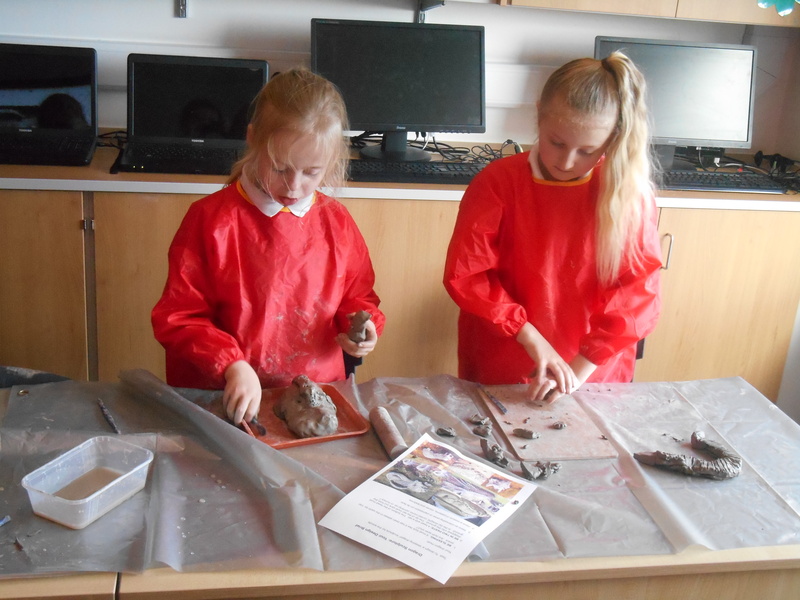 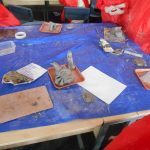 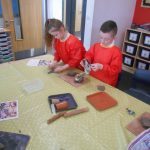 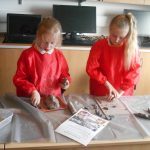 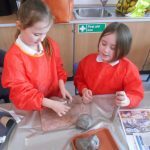 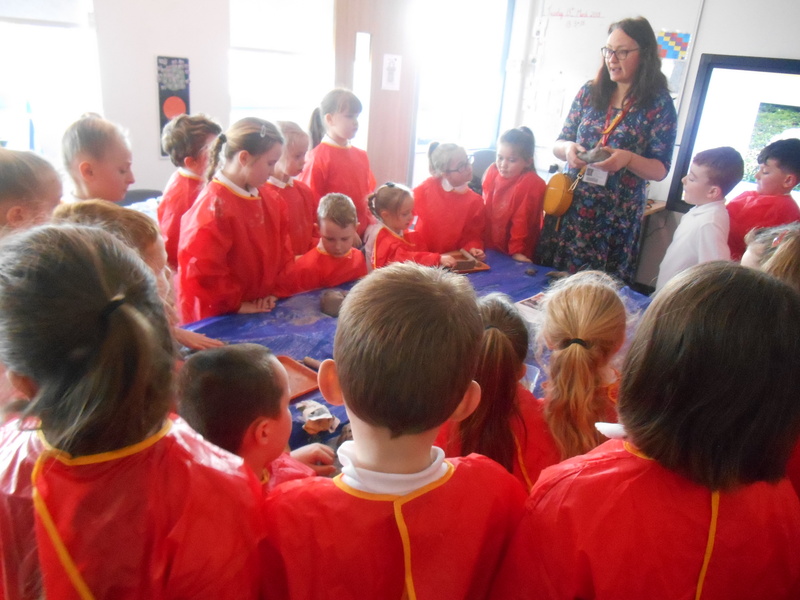 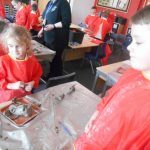 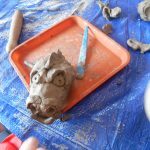 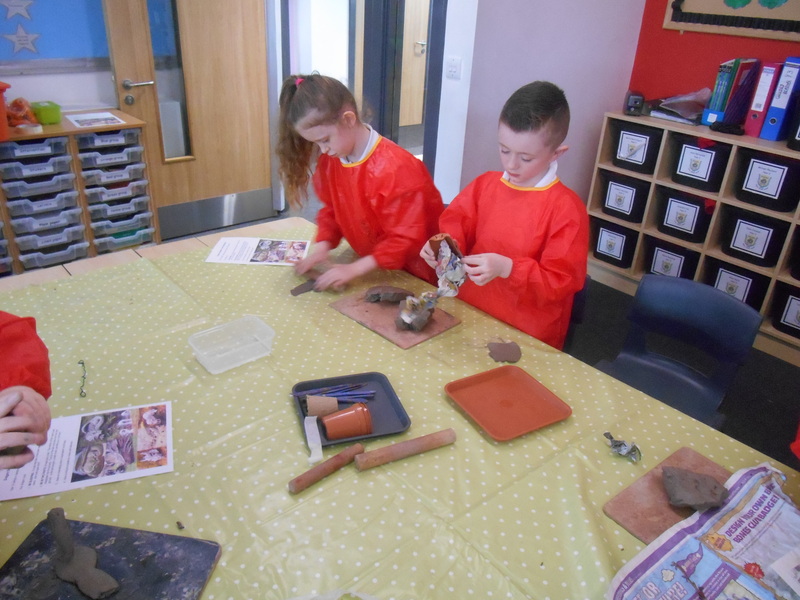 Then we used clay to experiment different ways we could make our ‘Sleeping Dragon’. 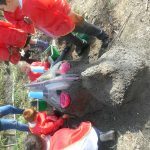 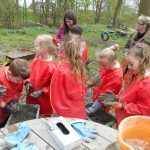 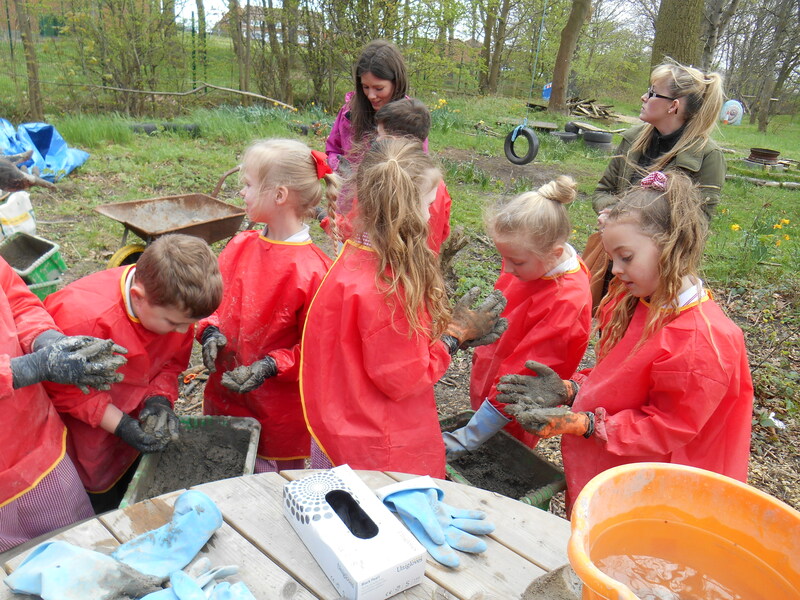 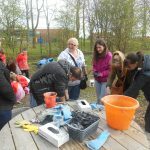 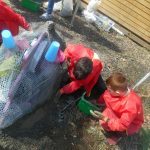 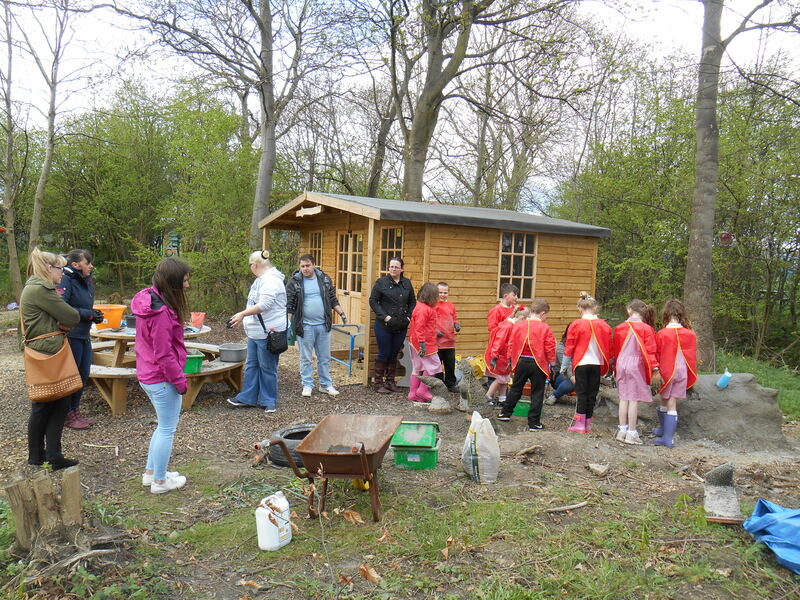 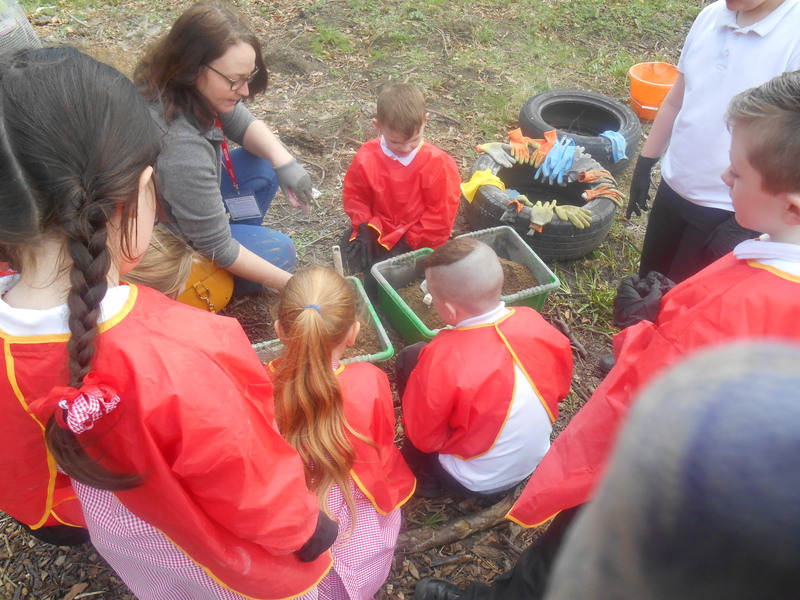 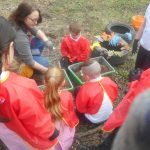 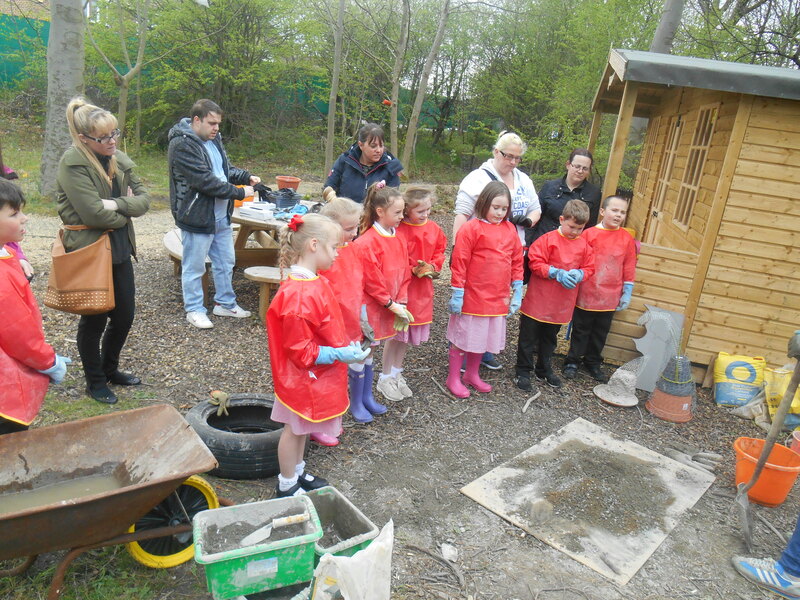 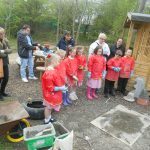 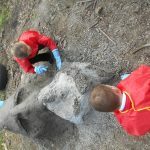 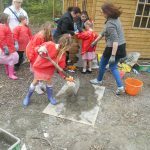 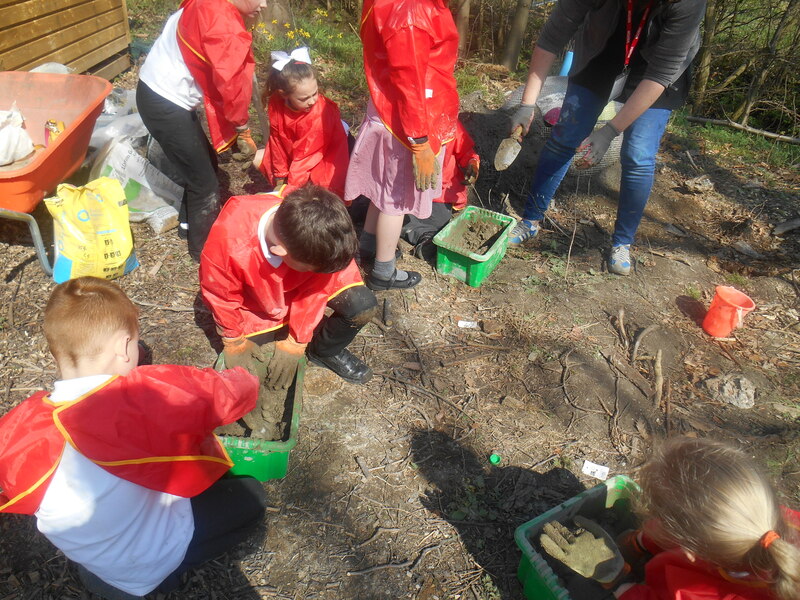 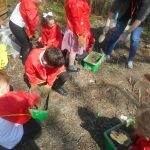 We were then joined by our parents to help us create our ‘Sleeping Dragon’ out of concrete in the school woods. 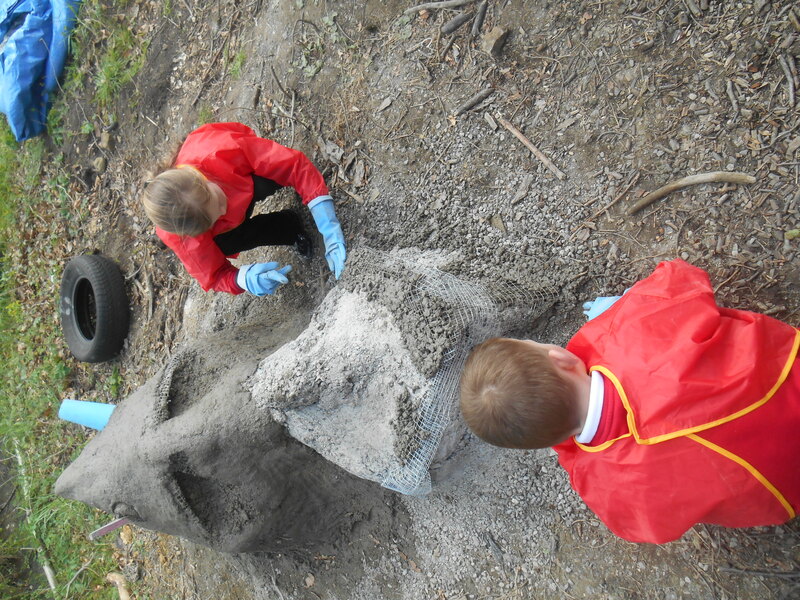 It took us a few sessions to create the basic structure of our ‘Sleeping Dragon’. 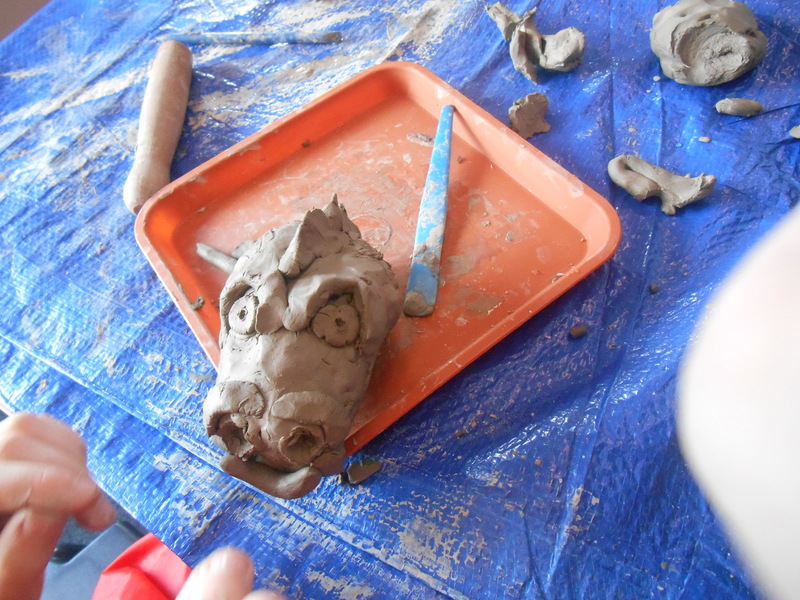 we the made him a tail and spent time adding detail to make him seem alive.